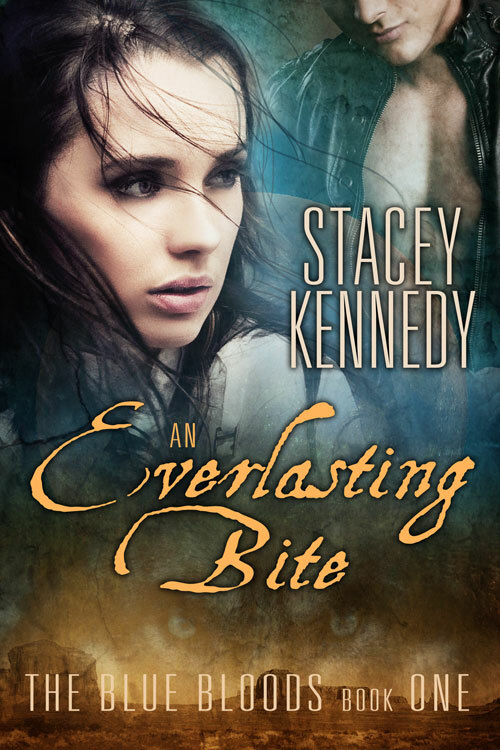 Please welcome the fabulous Stacey Kennedy, author of urban fantasy romance! My novels are light-hearted fantasy, heart squeezing, thigh-clenching romance, and even give a good chuckle every now and again. My journey as a writer began as a way to keep my brain alive since being a stay at home mom can be a little let’s say―numbing. It was an escape from screaming kids, dirty diapers and plain old mom duty. It started as a hobby, but as the stories progressed it became a passion. Now, I indulge at nap time, especially the juicy bits! Every mom needs a good thrill! Love is born between strangers, yet built upon a bond soul deep―one Alpha’s vow to protect his mate from looming danger, all the while, mending her soul and stirring her wolfish desires. A vicious werewolf attack in Plymouth, Minnesota leaves a young woman violated, bitten and now, transformed into werewolf. But Rynn Murphy doesn’t have to face this transformation alone—she has her mate by her side. And the charming Briggs―Beta to the Patriarch, Valor―is eager to ease her into this new life and mend her battered soul.